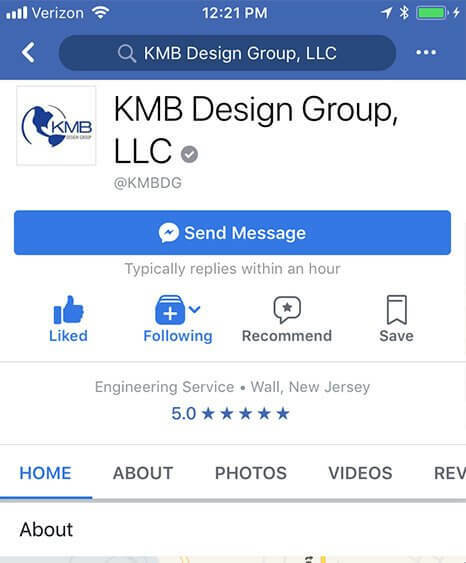 KMB Design Group is a full-service engineering solutions provider based in New Jersey, but licensed throughout the US and Europe. As a B2B company in the highly relationship-driven industries of engineering and telecommunications, their partnerships with clients were built on face-to-face interaction and handshakes. We devised a strategy to supplement those efforts with digital marketing tactics which would enable them to capture a segment of the new generation that had previously eluded them. Our success with KMB speaks volumes about the power of devising and implementing a holistic and integrated approach to digital marketing, incorporating all of the tactics available — website, content, SEO, social media, PPC advertising —and allowing them to work in tandem like a well-oiled machine. We developed a custom WordPress website for KMB that was highly-functional, SEO and mobile-optimized, and content-rich so that visitors will spend more time there. We have designed the website to maximize conversion opportunities by providing visitors will well-placed, subtle, yet effective CTA’s. KMB Design Group’s site converts at a rate of about 7-8%, significantly higher than the industry average of 0.1-2%! 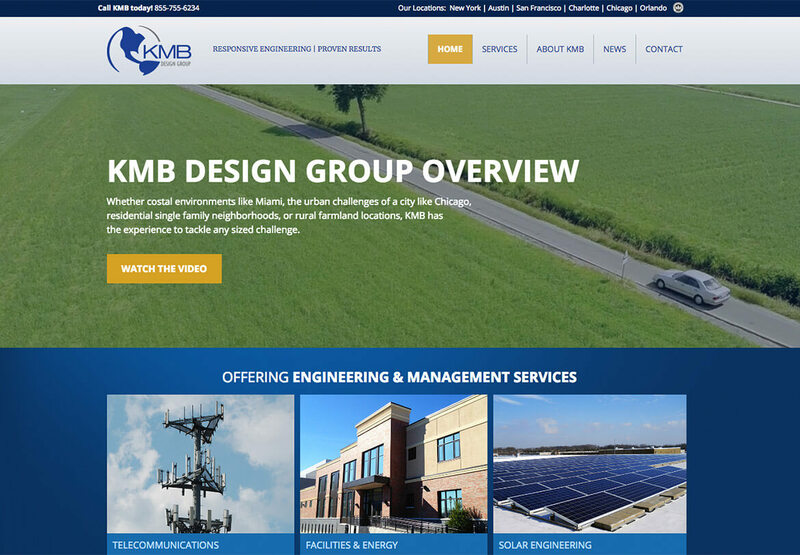 We crafted and implemented a cohesive and integrated digital marketing strategy to maximize results and help KMB Design Group achieve their business goals. 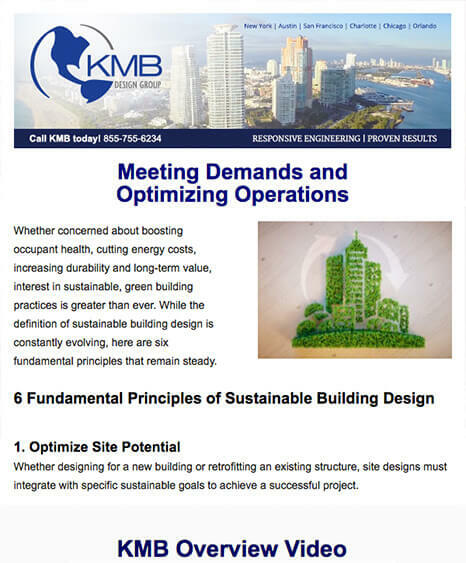 KMB is unique in that they have several different service lines (telecommunications A&E services, facilities & energy engineering, and photovoltaic design engineering services), so we create well-researched, thought-leadership articles around topics relevant to each one. 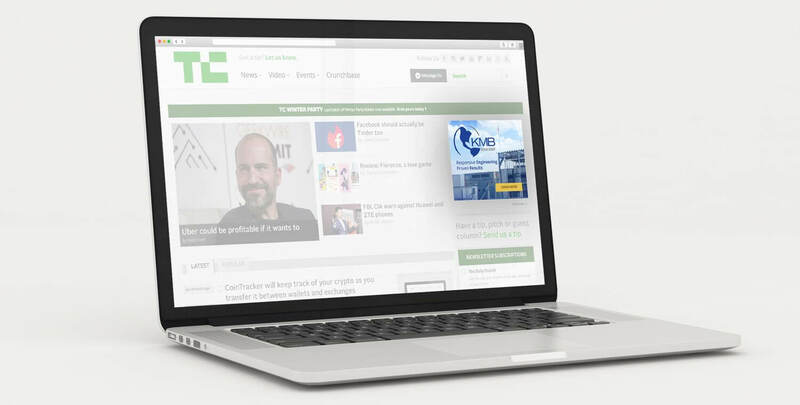 We leverage that content in a variety of ways to drive potential clients to their website, and to maximize its ROI. We optimize each particular piece of with an eye toward search engine placement to provide organic search results, and handpick relevant keywords and bid accordingly to build a powerful paid search (Google AdWords) campaign. 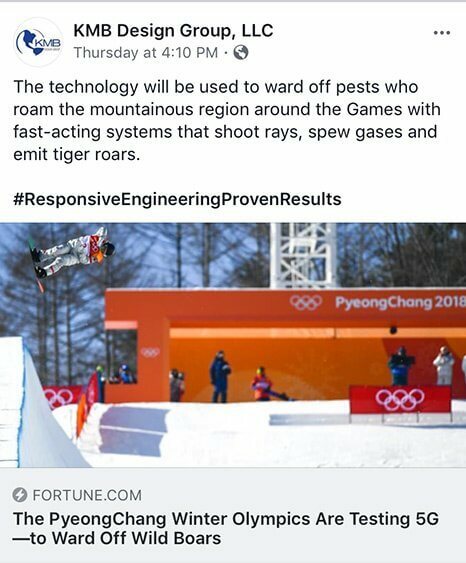 We design well-targeted Facebook and Instagram advertising campaigns each month to expand their reach further still. We have also designed a Google Remarketing strategy to regularly position compelling, targeted ads to previous site visitors as they navigate elsewhere online. We have built a social media presence for KMB on the platforms best-suited to help them reach their target audiences. By launching and managing campaigns on Facebook, Twitter and LinkedIn, we have given KMB another outlet for the content we have created, and another opportunity for their messaging to engage potential clients. Just as important as driving traffic to KMB’s site is what happens after a site visit. In order to solidify lasting connections with KMB’s clients and continue to drive revenue, we have implemented a sophisticated client retention strategy. We develop email marketing campaigns and e-newsletters for each of KMB’s distinct business areas, and have automated, well-segmented lists so that each client receives messaging specific to them on a regular basis.